A handy feature among collaborative software products is the ability to control a meeting or presentation wirelessly from a mobile device. Users can sync a tablet, for example, to the larger, main screen in the room. So, what you see and write on your mobile device will appear on the main screen and every meeting participant's device. Screen mirroring and wireless presentations are a key focus for DisplayNote Technologies, an Ireland-based company targeting mobile, real-time collaboration. DisplayNote makes software by the same name that lets presenters share their presentations to meeting participants on their mobile or desktop devices. Presenters invite participants to share their screens and collaborate with the rest of the group. Users can also send and receive private messages, conduct in-meeting polls, pause sessions and collaborate on an interactive whiteboard. 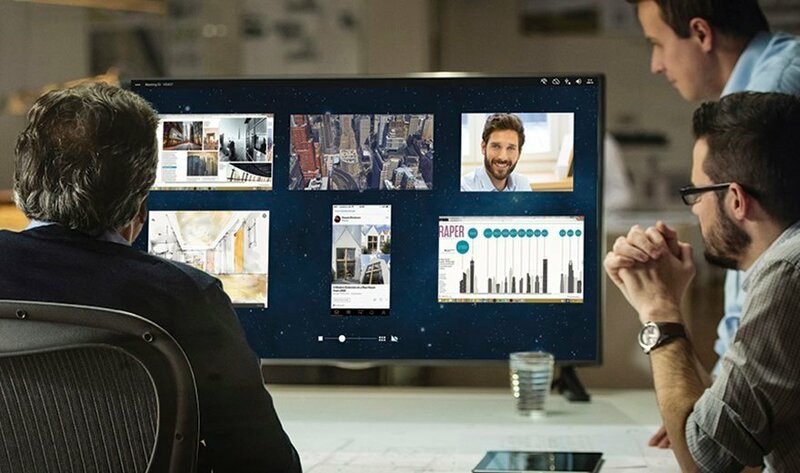 Like other interactive displays and collaboration software, DisplayNote's wireless presentations technology turns remote users into active participants who can annotate images, make notes and save content. Up to 12 devices can stream to the main screen simultaneously. Even as participants become presenters via wireless streaming, the main presenter can still maintain control of the meeting. DisplayNote makes other products as well: Swoodle, a mobile-centric messaging app that allows team members to co-edit documents, and Montage, a wireless presentations system similar to DisplayNote but with video conferencing and file sharing. In the world of interactive whiteboards and displays, vendors tend to offer a mix of hardware and software components. DisplayNote, however, is more software-centric, does not make boards, and partners with touchscreen manufacturers. The actual DisplayNote product also integrates with other apps like Microsoft Word. Similar to other interactive annotation software, DisplayNote (the company) has strong roots in the education field. But, as DisplayNote Marketing Manager Ed Morgan points out, the company is seeing more enterprise customers that include banks, pharmaceutical companies and construction firms. In particular, he said, more enterprises are looking to annotate a surface and share that content with sites across the world. Photo: DisplayNote's Montage is a wireless presentations product that allows up to 12 meeting participants to stream content to a main display in a meeting room and remotely. It also has built-in video and voice capabilities. Would your company benefit from a wireless presentation system? Why or why not?